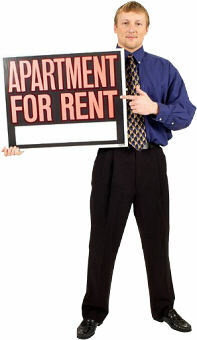 Need Renters Insurance in Lake Charles Louisiana? If so call 337-824-4455 and speak with the professionals at Jeff Davis Insurance. Or if it’s more convenient use our online rate quote system when you click on Renters Insurance Lake Charles La. Please note that when you combine your renters insurance with a car insurance policy in Lake Charles we can give you a huge discount that in some cases will pay for the entire cost of your renters insurance! If we do not already care for your car insurance make sure that you receive a combination quote for car and renters insurance with one of our insurance companies. We cover personal property owned or used by an insured person anywhere in the world. This includes items not permanently attached to or otherwise forming a part of the realty. When personal property is located at an insured person’s residence, other than the residence premises, coverage is limited to 10% of the Coverage C – Personal Property coverage limit, or $1,000 whichever is greater. This limitation does not apply to personal property in a newly acquired principal residence for the first 30 days after you begin to move property there. So for instance fire is a covered peril on a renter’s insurance policy. If you live in an apartment building and your next-door neighbor sets their kitchen on fire, and that fire also spreads to your apartment, your renters insurance policy will pay to replace your personal contents up to your policy limit. However just like all insurance policies have limitations and exclusions of coverage renter’s insurance policies are likewise the same. 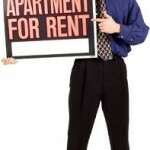 Limitations of Louisiana Renters Insurance. Coverage only applies to losses that named in the insurance policy. This is also known as a named perils insurance policy. Typically there are 15 different claim events covered by a renters policy. An optional endorsement might be available with some insurance companies that would provide what is sometimes called “all risk coverage.” This endorsement does not restrict coverage to only 15 possible events. There are additional exclusions and limitations of coverage that would be important for you to understand when you’re looking to purchase renters insurance in Lake Charles Louisiana. Call Jeff Davis Insurance When You Need Lake Charles Renters Insurance Coverage. Please call our office at 337-824-4455 for more details about your available options or click on Louisiana renters insurance quotes for an online quote 24 hours per day. As a top-rated independent insurance agency in Lake Charles we can help you find the coverage you need for both renters and car insurance in Lake Charles as a combined policy.